Do you ever find yourself wondering what the point is to executing this test... again!?! Have you ever felt like the purpose of a test is to ensure there is a check mark in a particular check box? Are you ever asked to get *more* information in even less time with even fewer resources than the last test project you worked on? 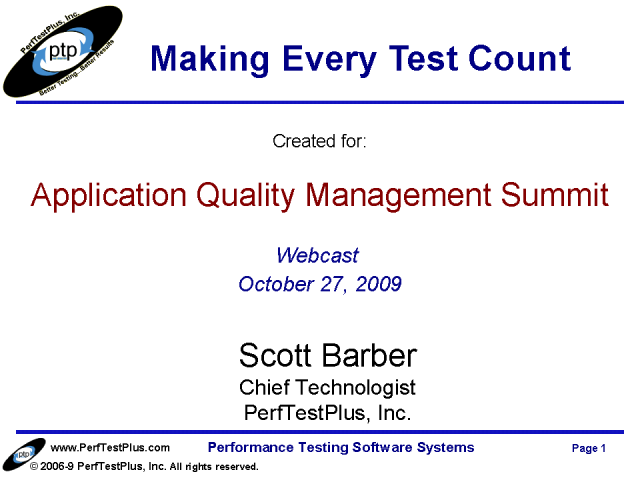 In this presentation, Scott Barber will introduce you to a variety of tips and techniques you can apply to virtually any testing you do as you strive to make every test you execute add value to the project.